This product was designed and engineered for to fit on both the N54 & N54 version of the 335i and 335is in both RWD & AWD configurations. The difference in both power and sound are be noticeable the moment it is installed! Please note that cutting of the factory exhaust is required and that we include everything necessary for installation including installation hardware. 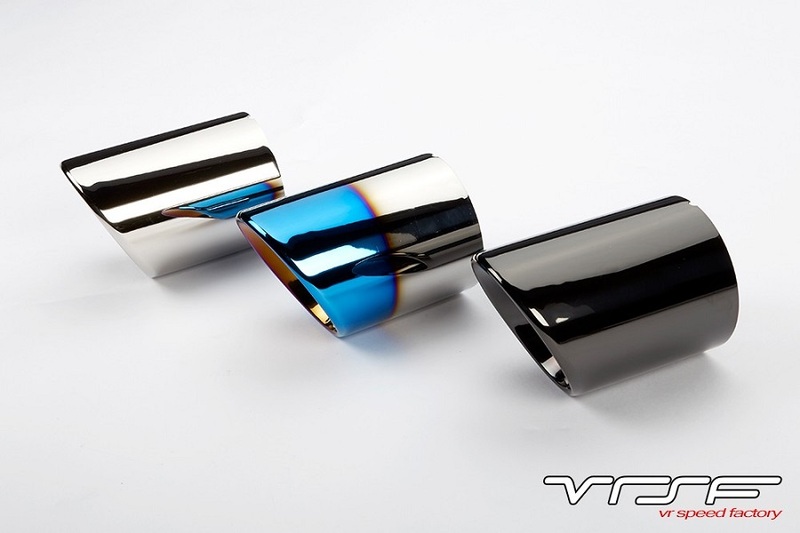 These are available in multiple 90mm slip on muffler tip configurations displayed below. Please note that these tips do not require install hardware. Got any data to back that up? Before and after Dyno runs? Didn't Payam make 800+ through the stock exhaust? Also can you define 'improved exhaust note'. This has to drone like crazy and be pretty raspy. Do you have any videos of it? Not trying to be negative but I'm just skeptical that it's going to do anything productive beyond weight reduction. 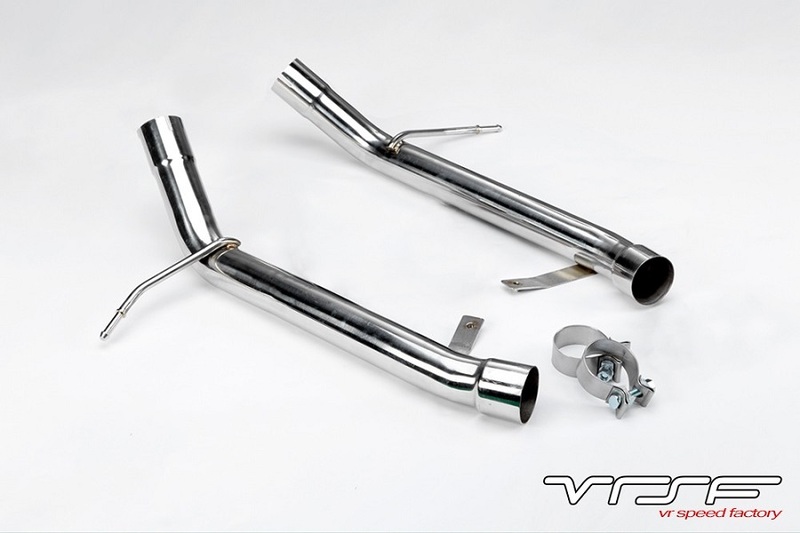 Any exhaust sound is subjective, the VRSF exhaust will sound like other muffler delete. tens of videos of muffler delete are found online. As for the first part, we do not have any data because we did not make these claims. The description was copied from VRSF's website directly. Thanks Mike. I appreciate the follow up. This is the first time I heard the n55 oem muffler being restrictive. Last edited by Tiago@VRSF; 10-10-2018 at 10:19 AM. You have a 700whp N55? I apologize for the confusion, this was in reference to the overall catback design which is very similar to the N54. That's what I figured. I would say any performance gain claims aren't really valid unless you have the dyno data to back it up. Although cat-back is the same N54/N55, single turbo/dp vs twin is drastically different on how the exhaust actually goes into the cat-back section. For all we know a catless dp on N55 could still be more restrictive than the stock exhaust, resulting in no gains from this. The gains aren't necessarily the muffler delete, yes they're a restriction but it's from the 3.5-inch piping which allows the turbos to breathe much more at higher boost. A few n55 guys have upgraded to a 3.5in turbo back and seen gains from that. Newguy123 as an example with PS2. Newguy123 has a 135i I believe. Those have very restrictive cat-back exhausts. 335i would really only be for sound and weight saving. Having seen the inside of my 335i mufflers when doing the PE exhaust mod, I don't see any restriction. It's literally a perforated pipe inside going straight through the muffler chamber, how would that be restrictive?